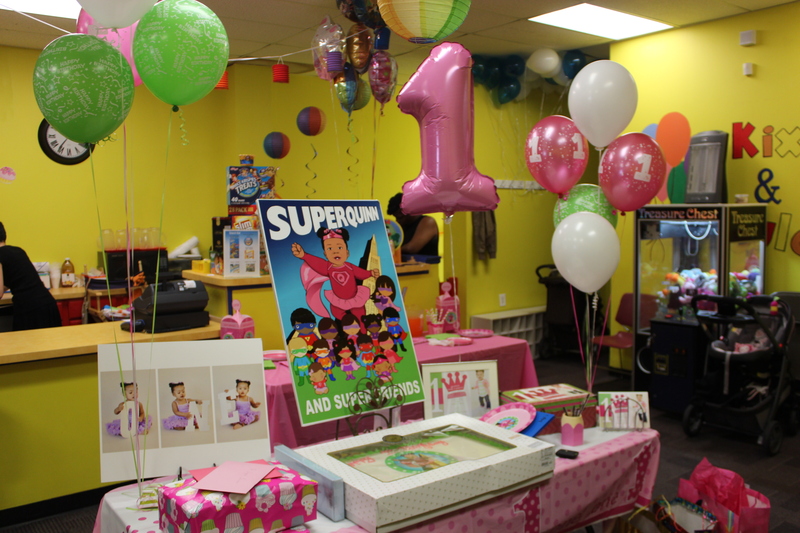 A Superhero Party for a Super Girl! 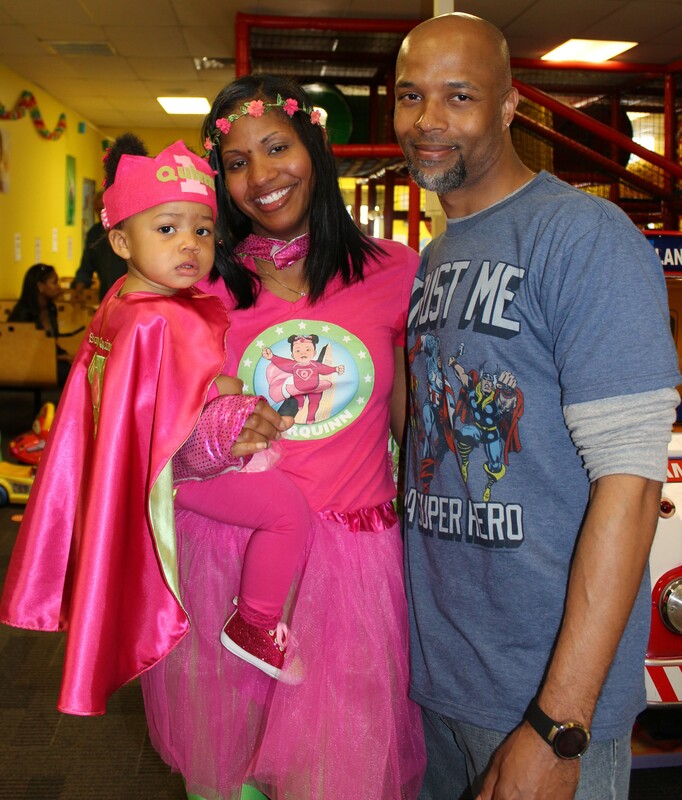 Superheros: the theme for my daughter’s first birthday party demonstrated how special she and the children in attendance always will be. Unfortunately, I quickly realized that many companies tend to cater towards “boys,” sending the message that girls can’t be superheroes nor idolize them, but this could not be further from the truth. 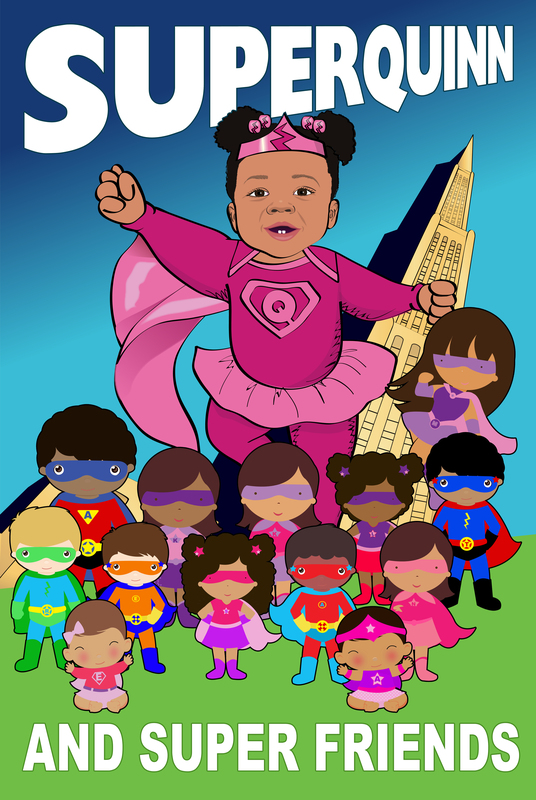 All children should feel empowered and super special, especially my little girl, With this in mind, I thought of creative ways to not simply promote the commercialized superheroes but the hero within each child, regardless of one’s gender. 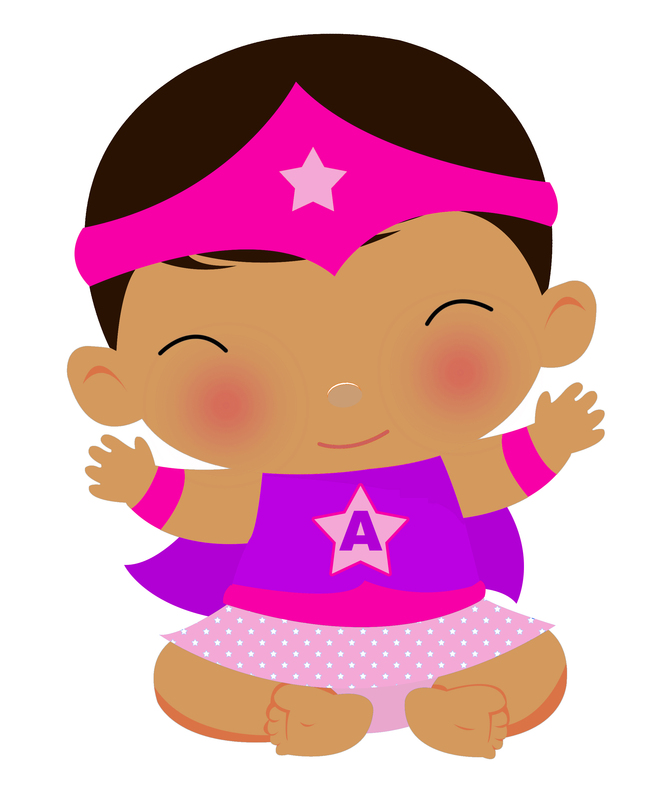 Illustrations: Rather than use existing superheroes, why not make it extra special with a personalized illustration of your child as a superhero? Sandy Ford, of Sandy Ford Design is an awesome illustrator I located through Etsy. 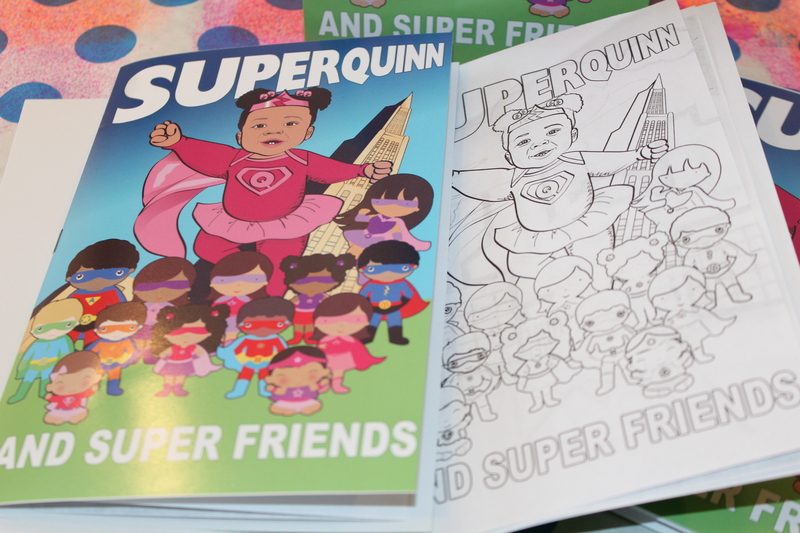 She does far more than just illustrations of superheroes in your child’s likeness, and her prices are extremely reasonable. 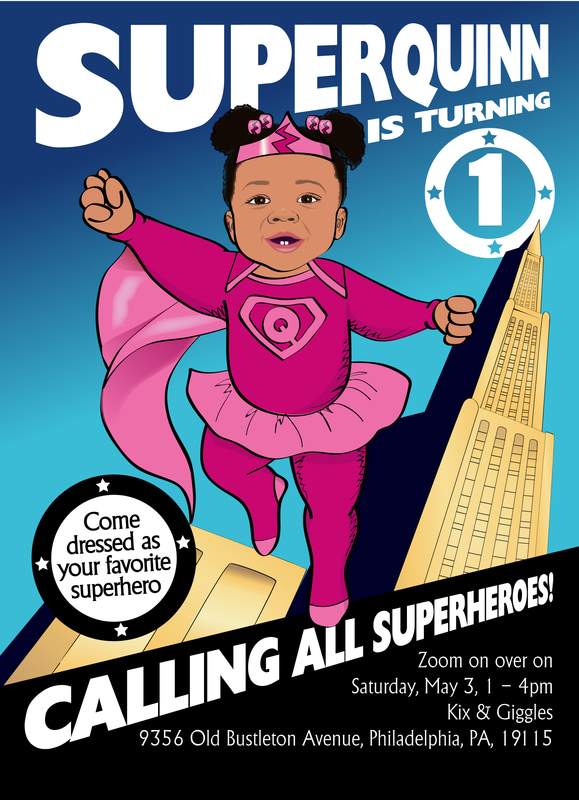 I was able to get an entire party package with the digital invitations, poster, coloring page, thank you card, banner, the iron on for my super mommy t-shirt, etc. for approximately $25. She’s in London and I’m in the US; nevertheless, I received everything electronically within 48 hours, and I certainly will use her services in the future for other illustrations. 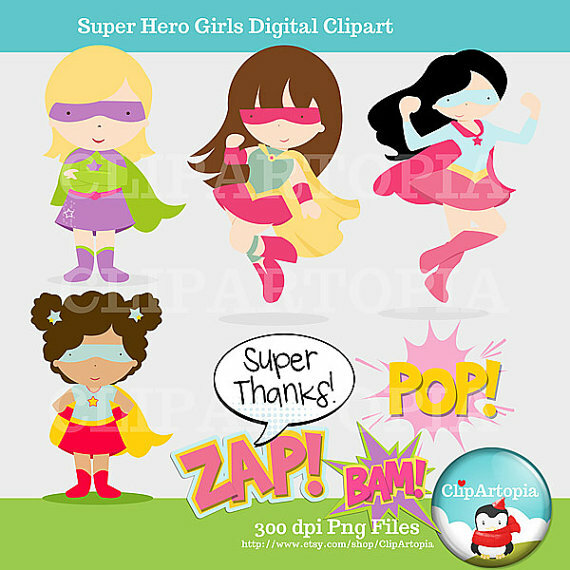 I found another company, Clip Artopia, that supplies superhero illustrations at nominal fees, ranging from $2.50 to $5.00 to use as you wish. Since I have a digital design background, I was able to modify some of the illustrations to have them reflect the likeness of the children attending Quinn’s party. 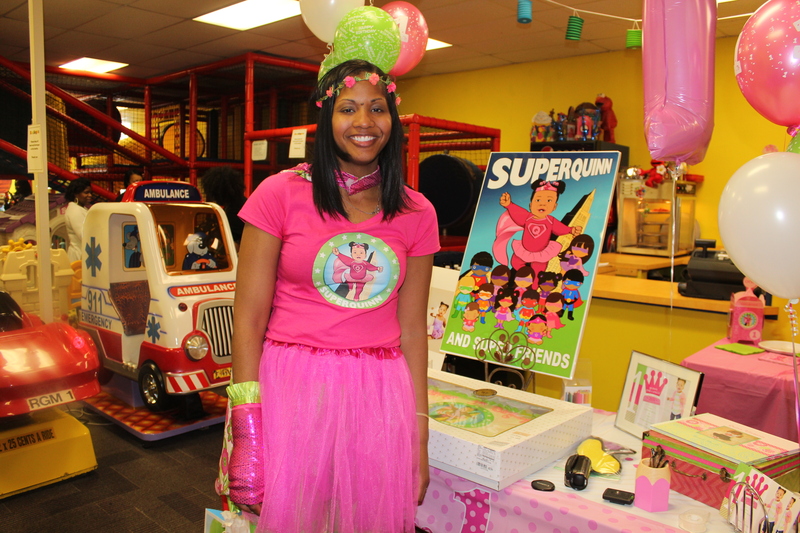 Superhero Capes: Though most of the children attending the party came dressed as their favorite superheros, the birthday girl’s outfit had to be original. I located another fabulous company through Etsy, Shooting Kisses, who makes superhero capes with many colors to choose from for toddlers, older children and adults. The cape was a little over $50, and there are many companies to use at a cheaper rate, but it was well worth it. 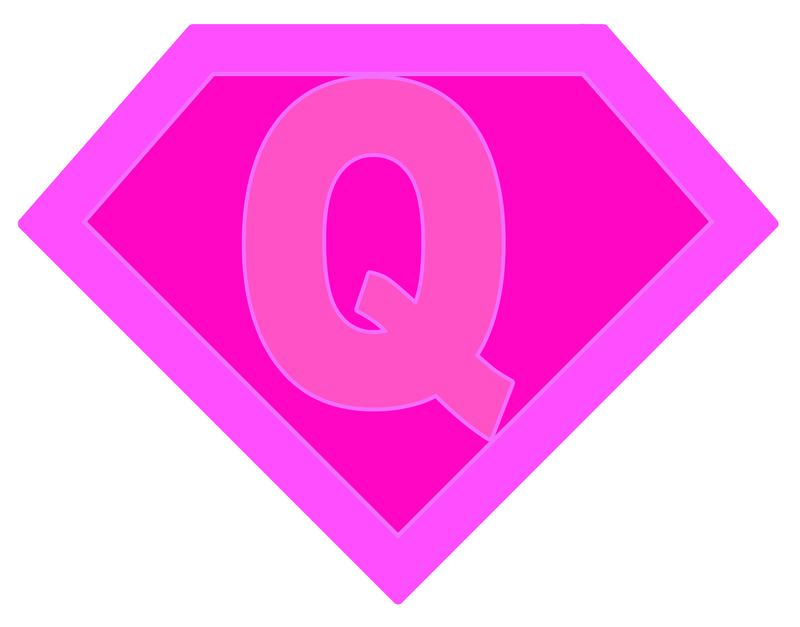 The stitching on the cape and emblem is professionally done, the satin material is high quality, and the cape is reversible.Quinn certainly will be wearing this cape for Halloween or just for fun. 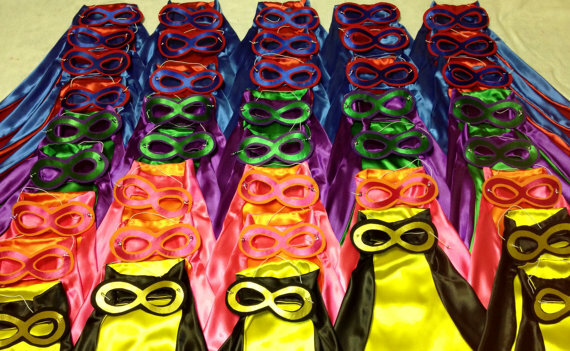 Yes, I’m one of those “over the top” party planning moms, and I wanted to send the children home with something special as well, so I ordered a party package with capes and matching masks from Klassi Kreations, another Etsy shop. Each set was approximately $15. They arrived ahead of schedule, were good quality and a big hit with all of the children. Personalized crown: This little superhero needed a crown to top off her outfit, and Oh So Sweet Creations, another company found through Etsy, was perfect! I was able select the appropriate colors and design with no problem. This company has crowns for many occasions, and I’ll more than likely use them again. 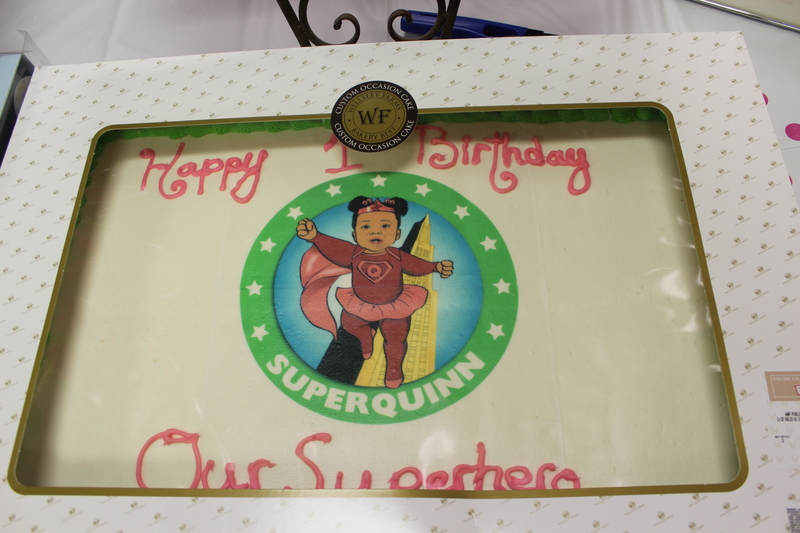 Personalized Birthday Cake: I looked at several specialty superhero cakes which were fabulous but very expensive. Then my husband said, “What about BJ’s; don’t they have birthday cakes?” BJ’s Wholesale actually has really good cakes with butter cream icing, so I was able to take the illustration I got through Sandy Ford Design and have it put on Quinn’s cake. It turned out great! DIY Projects: Superhero Shields: These are relatively easy to find by simply doing a search online, but the quality may not be the best because many of them are at a low resolution. So if you have Adobe Photoshop or another program, you can recreate them if you need a larger size. I was able to make the iron-on shield for my daughter’s shirt as well as some of the party favors. Coloring Book: Getting the coloring page from Sandy Ford Design and illustrations from Clip Artopia inspired me to create coloring books for each child. Adobe Photoshop actually has a feature where you can take just about any illustration and turn it into a sketch for coloring. Tattoos: I was also able to use the illustrations to order special temporary tattoos from Sticker You for the children. This company allows you to upload your own illustrations or to use illustrations they have available. You can also order stickers and other products as well to customize party favors. 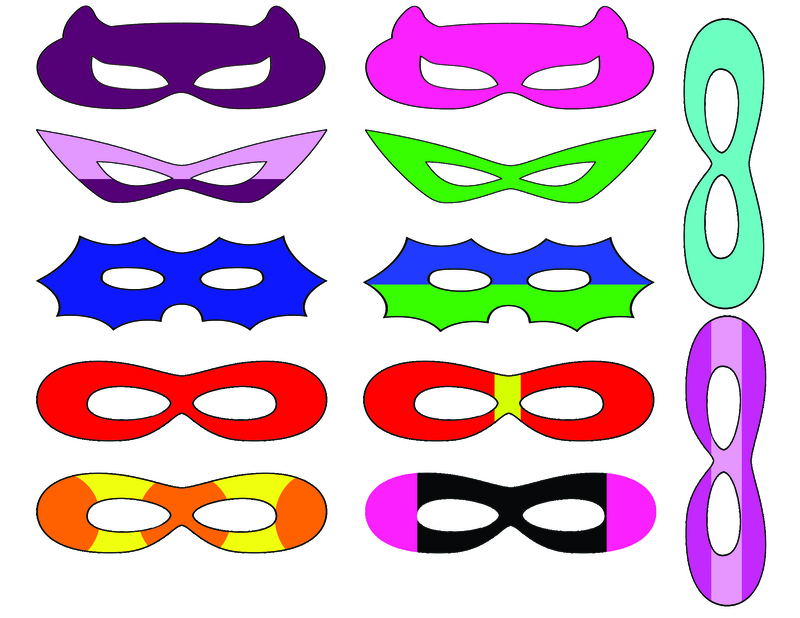 Party Games: Rather than pin the tail on the donkey, I customized the game and made it “Pin the Mask on Super Quinn.” I located superhero mask templates and modified them through Adobe Photoshop and printed out a large poster, laminated and mounted it myself. 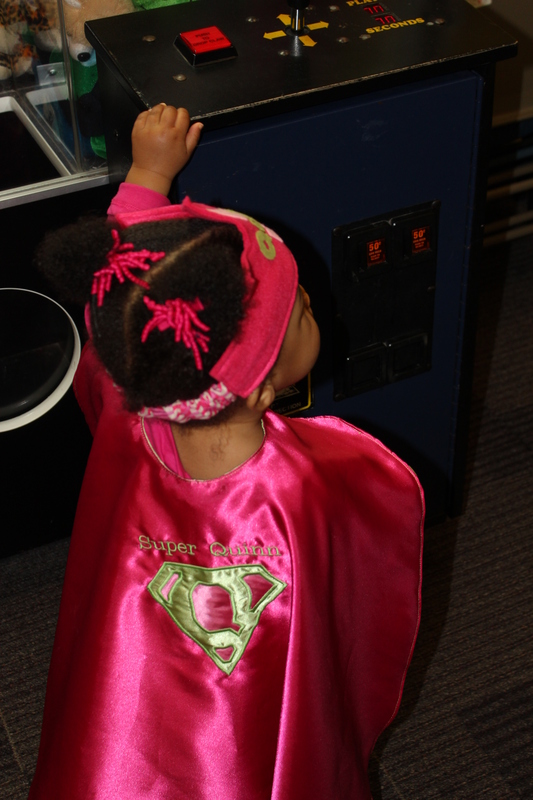 Another game was a maze for helping Super Quinn get to her cake. 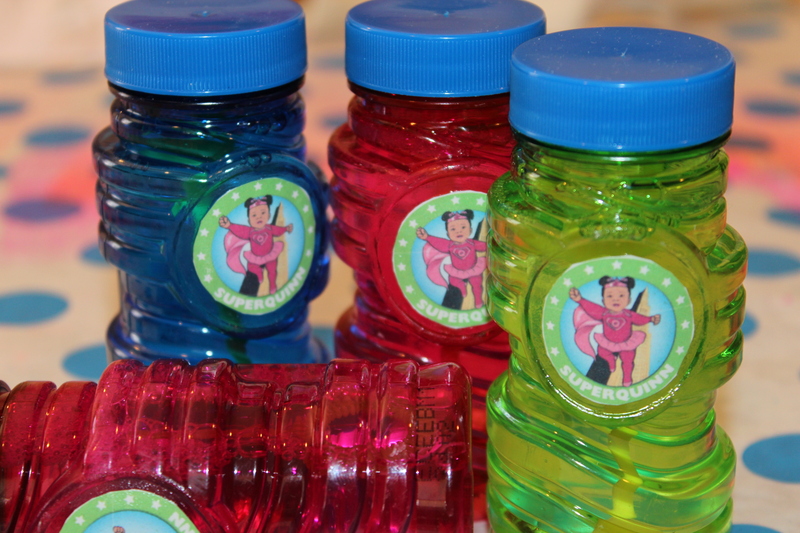 Bubbles: Children love bubbles, but I’m sure they love personalized bubbles even more. I used the illustrations provided by Sandy Ford Design and was able to print them out on sticker paper and adhere them to the bubbles I purchased at Target for just $2.00 for six. 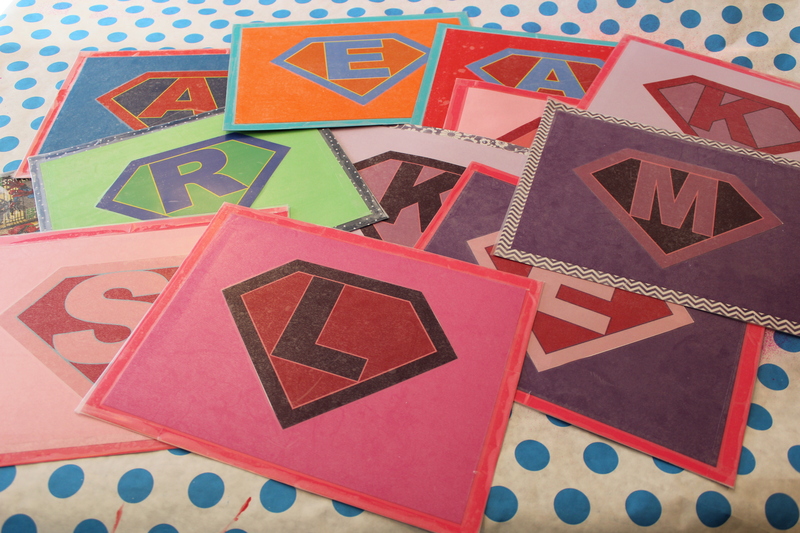 Place mats: Superheroes have to eat, but sometimes it gets a little messy, so I created customized place mats using contact paper and scrap book paper as a party favor that the children can use long after the party is over. 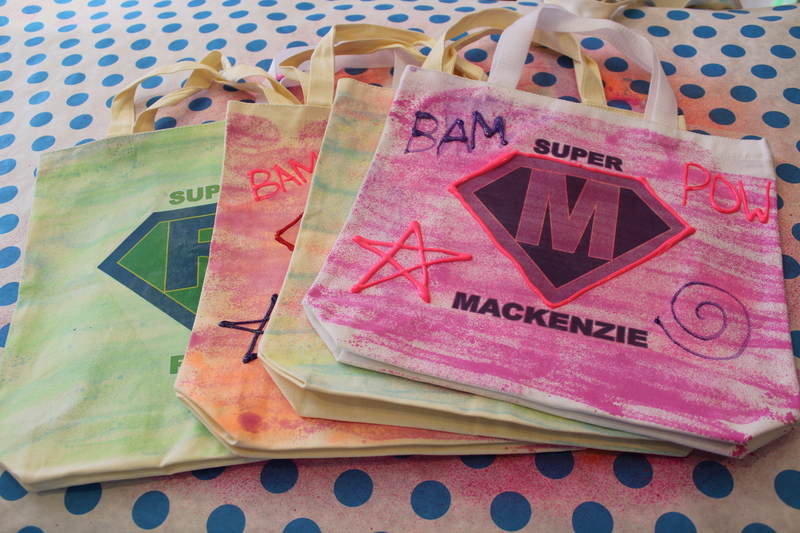 Party Favor Bags: I want the children to always remember how super they are, so I customized superhero canvas bags with iron-on superhero shields and a little puffy paint and glitter for the girls for them not carry around all of there super items and feel empowered. 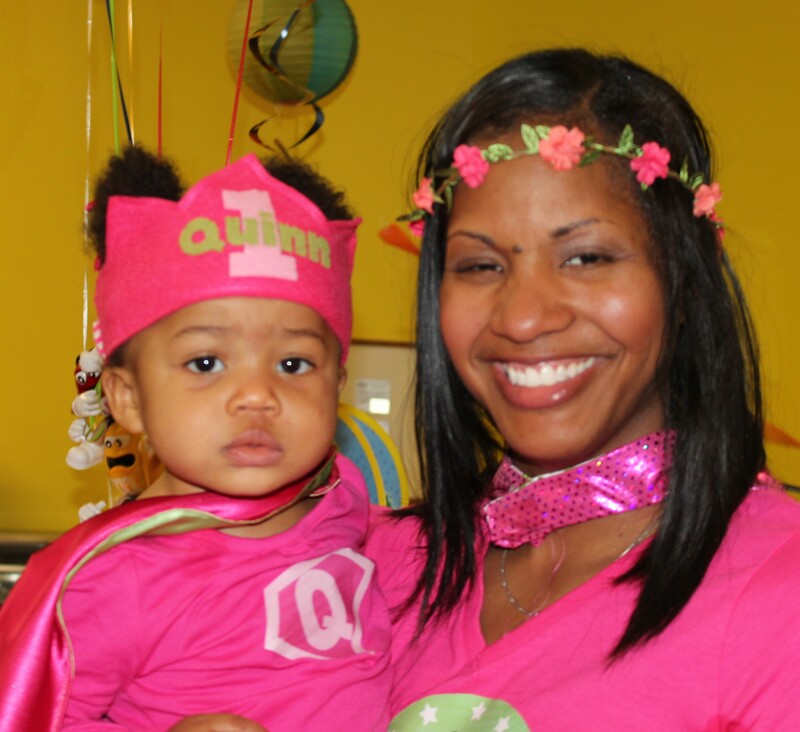 Party Location: Even though children are able to have fun at a party just about anywhere, if you are in the Philadelphia, PA area and looking for a place that is age appropriate for a one year old up to age ten, Kix and Giggles is awesome. It is reasonably priced, and you have the option of paying a bit more to make the party private. Though there were additional fees, they made all of the arrangements for Spiderman to make an appearance as well as a face painter. They also have a toddler area which is perfect for younger children. It certainly was a lot of work planning Quinn’s party, but it was also a lot of fun. 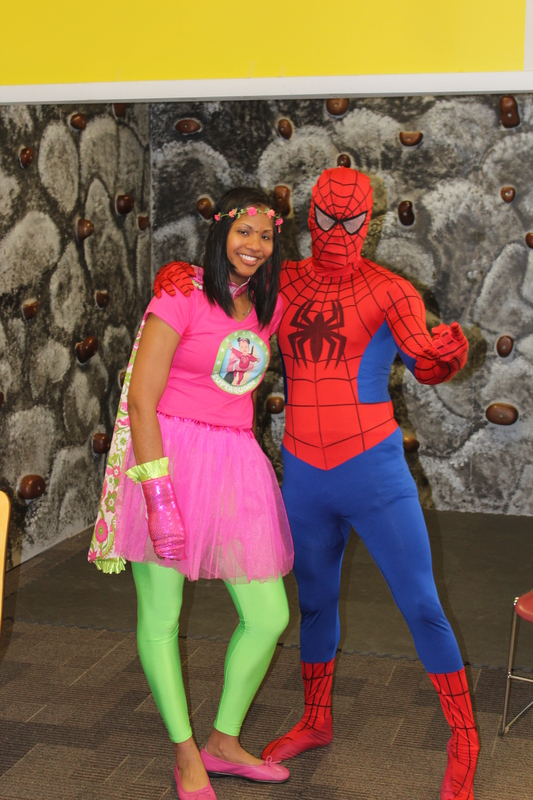 I hope that some of the information I provided is helpful for you in planning a superhero party for you child. Since Quinn has only drank from sippy cups, some with straws and some without, I was very impressed when I gave her the Wow Cup, and she knew exactly what to do with it. I’m amazed that the company targets mainly older children and makes no mention of how this product is excellent for teaching toddlers how to drink from a cup without messy spillage. Just yesterday, Quinn spent the day with her Nana (my mother), and my mom just raved about the Wow Cup and said that she wishes they were available when I was younger since I was such a “Messy Tessie.” I’m hoping when I go back to Boscov’s that they still have some Wow Cups left where they’re only $10, without the $6.95 shipping and handling fee you’ll incur in ordering it. I just might get one for me too! 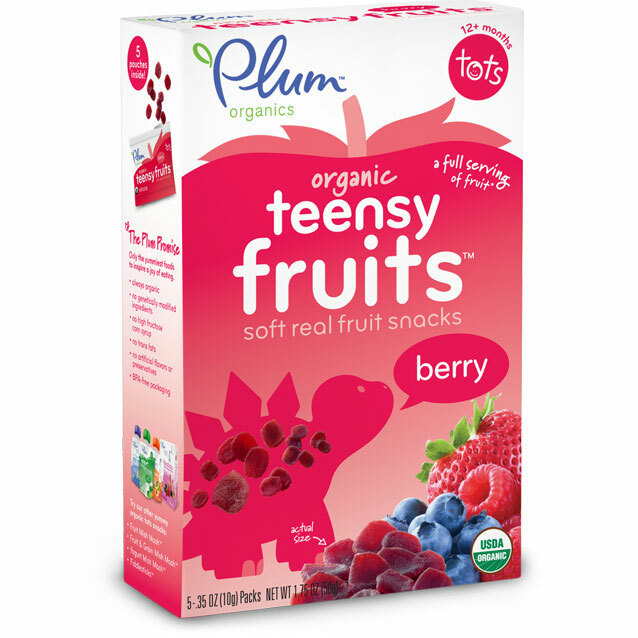 My Baby Loves Food Fights: It’s all organic! Peas and carrots go flying! Tomato sauce smeared on the table. Smashed blueberries scattered on the floor. Green beans mushed, chewed up and spit out. 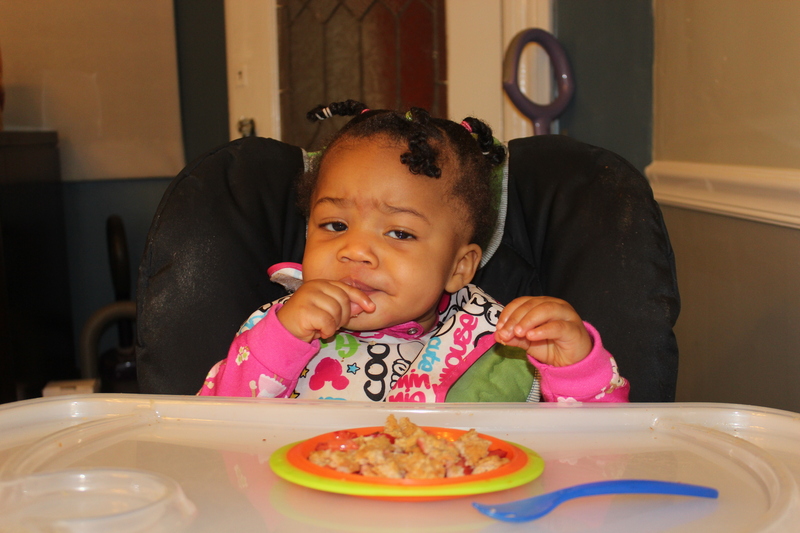 No, this isn’t a food fight at an elementary school; it’s my baby girl Quinn expressing her emotions towards eating solid food. Sometimes she loves them, and other times she loathes them. From her eating habits alone, I can see that my little one year old is formulating her own thoughts and figuring out that she can choose what she likes and dislikes and if she wants more or has had enough. 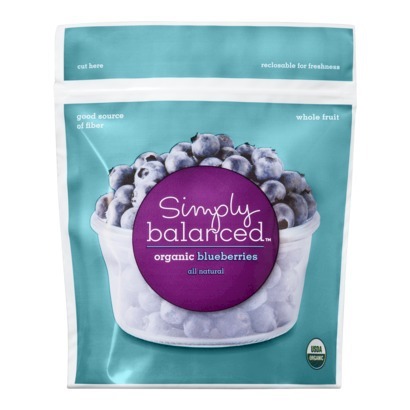 Prior to Quinn being born, my husband and I decided to go the organic and non-GMO (Genetically Modified Organisms) route as much as possible and have been conscientious in selecting and preparing her baby food. Now that she’s eating more solid foods, putting together a variety of toddler friendly meals has become an arduous yet exciting task. Though I enjoy shopping at Whole Foods, coming out with just one bag of groceries worth $50 or more to prepare one week worth of meals for my daughter is not something I’m looking to do on a regular basis. So I’ve been compiling places and brands that have been helpful on my quest to keeping Quinn’s food organic as well as non-GMO when possible. Annie’s Homegrown is actually a line I stumbled across at Target. 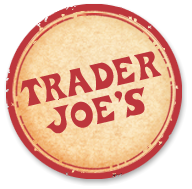 Many of their foods are non-GMO and organic. They’re great when I need to prepare a quick meal. My daughter, like most children, loves their macaroni and cheese, and the pasta noodles are small enough for her to chew without choking being an issue. Earth’s Best has far more than breakfast, but their organic waffles with no growth hormones are the perfect size for my daughter, and this is the first solid food breakfast item that Quinn happily eats up with little to no assistance from me. Perhaps my list above will help out some mommy’s and daddy’s going the organic route and looking for more reasonably priced alternatives. If you have any suggestions for me, please feel free to share. A little over a year ago, I celebrated my first Mother’s Day; my baby was merely one week old. 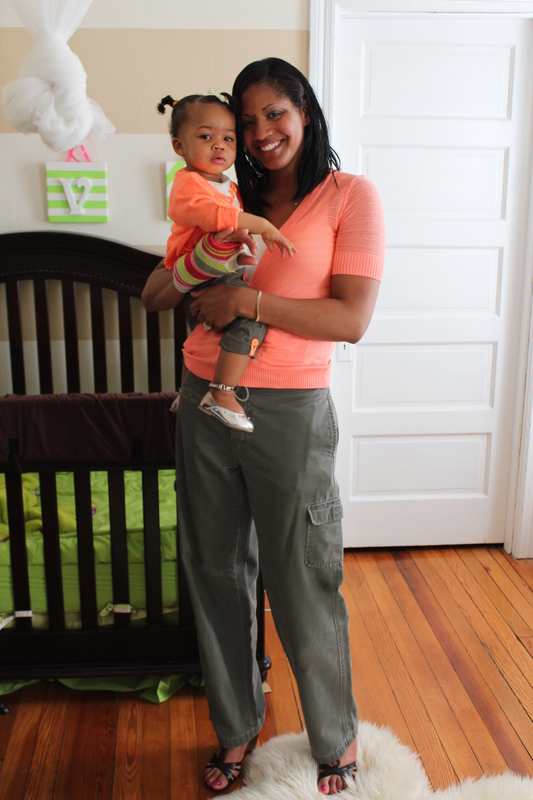 I was awestruck and simply overwhelmed with all that motherhood had in store for me. A year later, I’m still awestruck and perhaps even more overwhelmed. 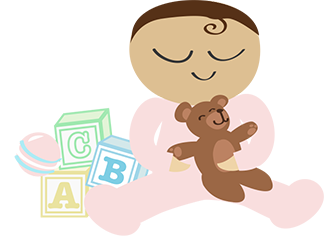 I love being a mom and am glad it has been added to the many labels I have accumulated over the years. Though family and friends have let me know that I am doing a good job, several questions and concerns are constantly on my mind. I am sure this is only natural, but I really wish there was a way to just get a glimpse into the future to make sure my actions are to the benefit, not the detriment, of my little girl. In the meantime, I will continue to try to be the best mom I can for my daughter and hope that she knows how much I love her and how much I love being her mother. On May 3, 2013 at 2:20 am, I gave birth to a healthy and beautiful, eight pound baby girl. 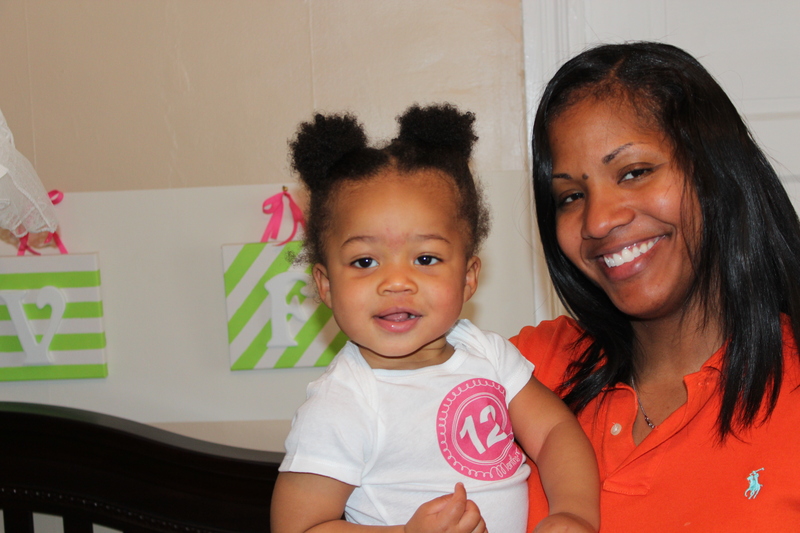 Today, I am not only celebrating her first birthday but my first anniversary as a mother. We’ve both grown and learnt so much, she more than me, and the experience has been awe-inspiring. Yesterday, we went to Quinn’s mommy and me class at “The Little Gym,” which I highly recommend if your child is not in a childcare facility yet you want him or her to occasionally be around other children his or her age, and the parents were to say one thing they love about their children. For me, I love Quinn’s inquisitive nature and desire to fearlessly explore. Quinn has been walking for a little under a month now and wants to get into everything. Chasing her around and having to put up boundaries for her safety can be a major undertaking at times, but seeing how much she has thrived in just 365 days is absolutely amazing. It is my hope that she will keep on this path well into adulthood, always seeking out knowledge and exploring with no fear. This truly is a happy first birthday for my little one and a happy first anniversary as a mother.